Heat oven to 350°F. In medium bowl, place brownies and cream cheese; mix well. Roll mixture into 8 balls. Line large cookie sheet with cooking parchment paper. 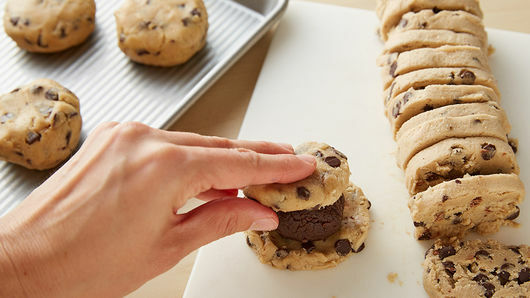 Cut cookie dough into 16 slices. 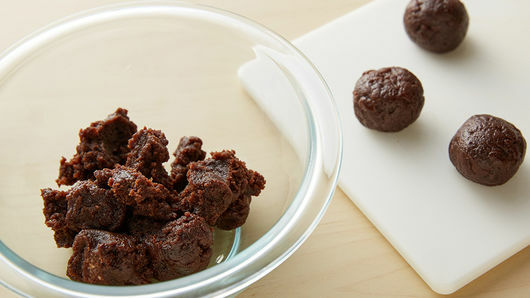 Flatten slices; form 2 slices of cookie dough around 1 brownie ball, completely sealing edges of dough and forming into ball. Place on cookie sheet, press down slightly. 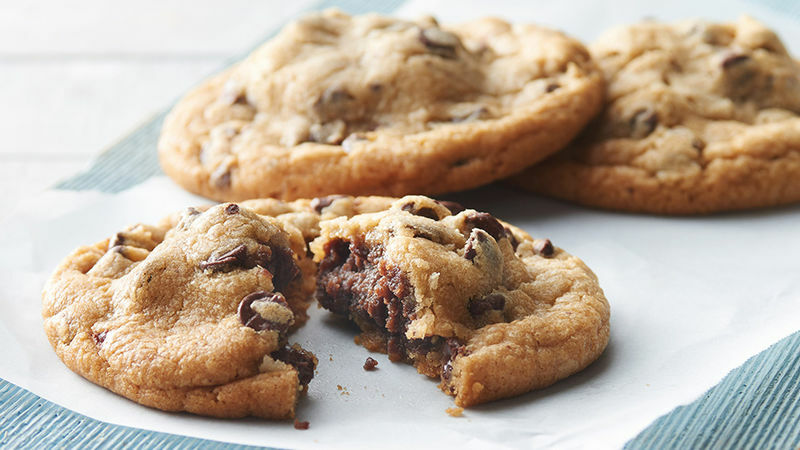 Repeat for remaining cookies, placing at least 2 inches apart on cookie sheet. Bake 15 to 20 minutes or until cookies are golden brown. Cool on cookie sheet 10 minutes; remove to cooling rack. Cool completely, about 30 minutes. Cookies should be stored in a covered container in refrigerator.